December 6th was a super crazy day for us. 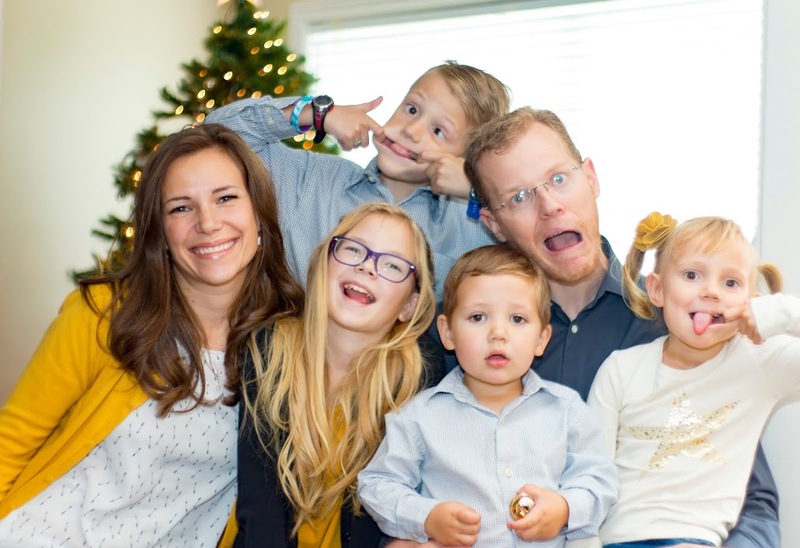 We began by attending a neighborhood brunch, followed by hosting Carson's birthday party and lastly, we attended our Ward's annual Christmas party. Of course I had to make food for all three events, which is part of the reason why it was a very Crazy day. Attending the Christmas party was the perfect way to end the day. It was a Christ-centered event, where we joined our neighbors and friends in singing Christmas Hymns and watched the LDS Church latest video on the Nativity. Santa came after dinner and each of the kids got to sit on his lap and tell him what they want for Christmas. We tried to remove the focus of Santa from our life this year and I think it might be working because my kids really didn't care to stand in line to talk to him and haven't really mention him at all this month. 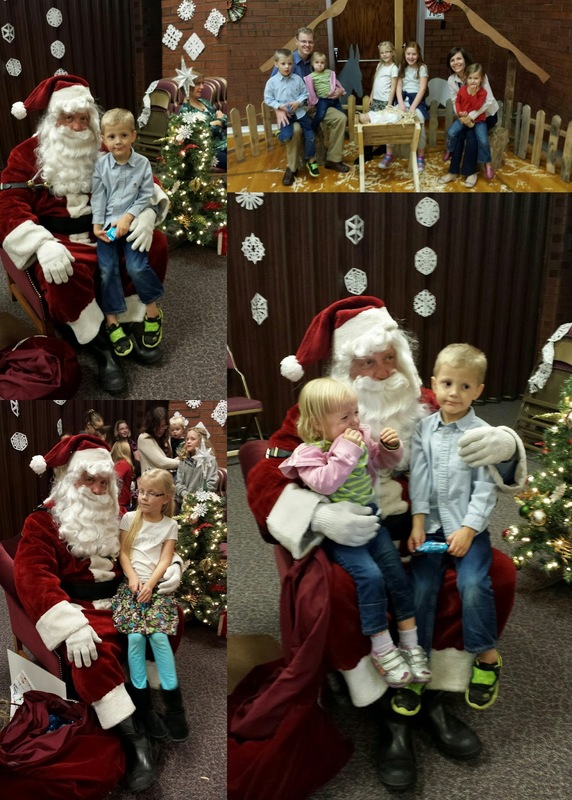 I had to track the kids around the church building so we could snap some pictures with Santa before he left. They were the very last ones and Stella wasn't happy to do it at all. I think I have similar crying pictures with Santa for each of my kids. Now that's a tradition!